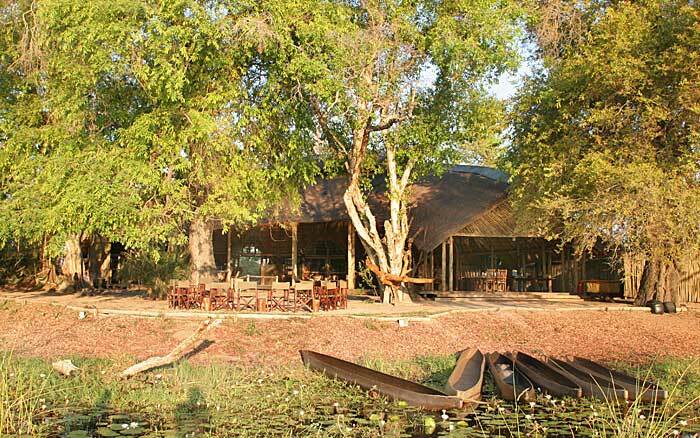 The Camp is located on Pom Pom Island in a private concession situated in the heart of the Okavango Delta and on the head waters of the Xudum river system. 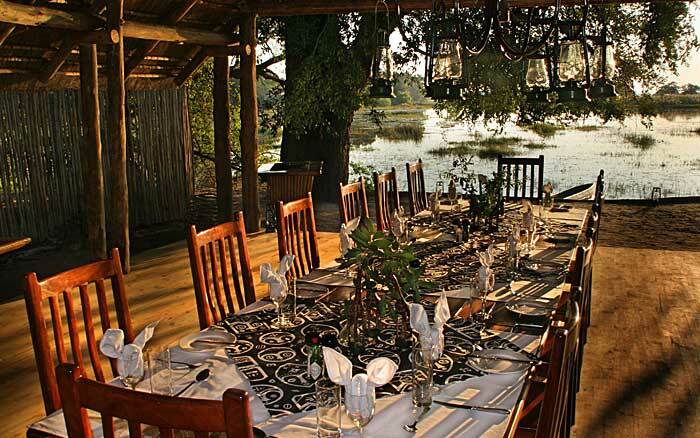 The camp is on Pom Pom island in the private Matsebe Concession in the world-famous Okavango Delta. It’s a scenic area with myriads of channels and lagoons waiting to be explored. 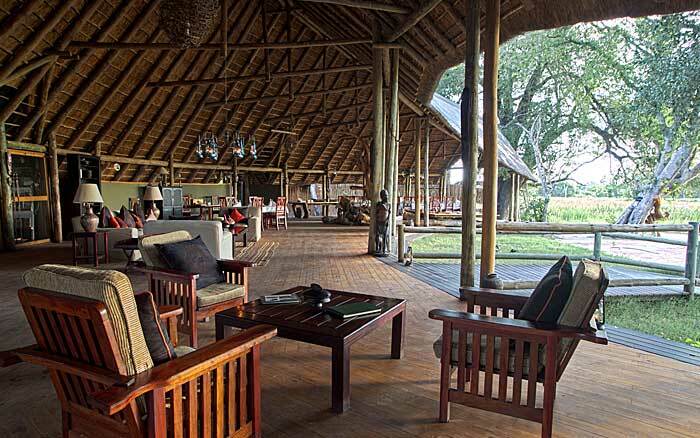 The large main lodge is the social heart of the camp, with a lounge, dining area, bar and boma, all with views of the lily-filled lagoon. You’re welcome to make yourself at home here, settling down on a sofa, enjoying a drink of your choice from the honesty bar. The swimming pool and sun deck is just a short distance away. Meals are usually communal buffets, giving you time to get to know your fellow guests and the camp managers and to enjoy sampling different dishes. Their new ‘dining in the wild’ experience transports you to a lovely bush location where a fire and delicious 3-course dinner are waiting. Fabulous! 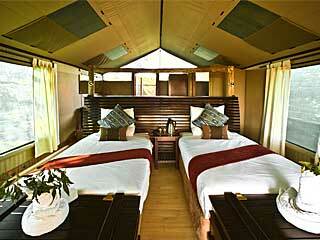 There are nine guest tents providing light and airy accommodation. The shade of trees coupled with ceiling fans keeps daytime temperature pleasantly cool. The en-suite bathrooms are open to the sky, sounds and scents of nature. They are equipped with his and hers hand basins, and shower and flush toilet. The honeymoon tent also has a luxurious outdoor bath. 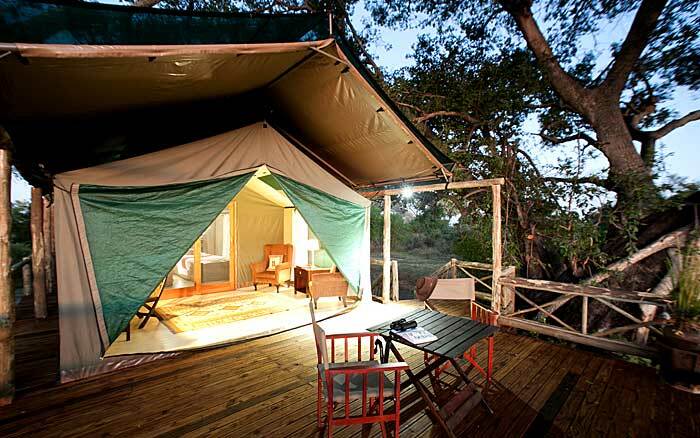 All tents have sitting areas and private decks. Each day you’ll have a choice of activities, so you can spend the morning relaxing as you navigate the waterways of the delta by mokoro, or immerse yourself in the minutiae of the bush on a guided walk. 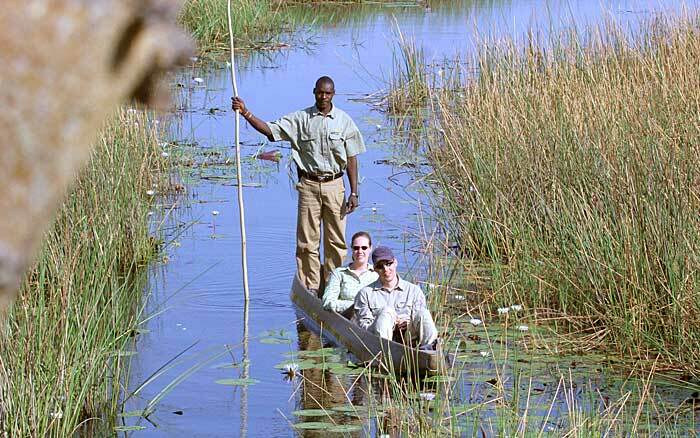 Later, venture out in a 4X4 safari vehicle to observe flora and fauna a little further from the camp. Game drives are taken with a driver/guide and tracker. You can round the day off with an enthralling night drive, looking out for civet, serval and genet. 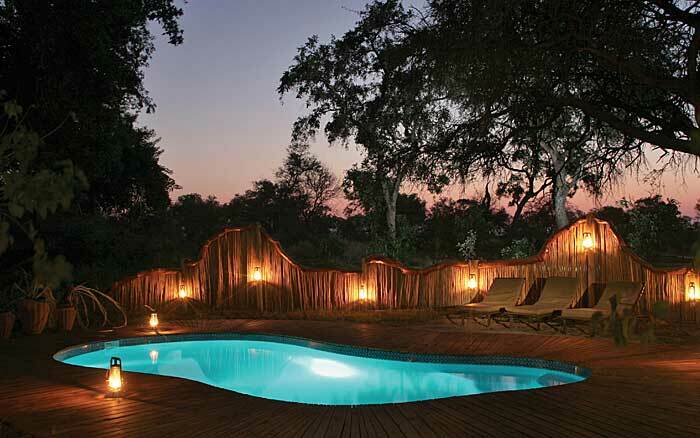 These experiences combine to create a memorable and comprehensive safari. This is the perfect place if you are looking for a small, rustic camp with great game viewing and a choice of activities. The mix of boating, game drives and walking is fantastic and the private concession means you’ll see very few other vehicles. I want to return here and stay longer. Children aged 6 and over are welcome, there is a family tent. A private vehicle must be booked at extra cost for children aged 6-11. Children under the age of 12 cannot join walking safaris or mokoro excursions. Tents at Pom Pom are large and extremely comfortable, incorporating a bedroom, open air bathroom, sitting area and veranda. They are cooled by ceiling fans. 9 guest tents including a honeymoon tent and a family tent accommodating up to 4 Open air bathrooms with running water, twin hand basins, shower and a flush toilet.